In October 1994, the first ever banner ad appeared on the Internet. Not only did it bring forth a lot of opportunity (it’s why I have a job), but it was also the start of the great separation. 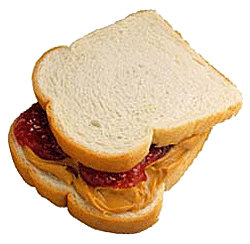 It was the start of the separation of the peanut butter aka the content from the jelly aka the advertising. For decades before this point, content and advertising lived together in harmony as one part of the same system in traditional media outlets such as television or magazines. A couple of years ago, when we started Onswipe, we saw the shift from PCs to tablet, not only as a chance to make the web more beautiful, but as a chance to finally make digital brand advertising great. Today we’re launching our ad platform to the world and we think we can finally put the peanut butter and jelly back together. Brand advertising is a $200 billion opportunity and we think the tablet combined with a common platform to serve both the advertising/peanut butter and content/jelly is the key to unlocking brand advertising in the digital world. I wanted to take a few minutes to share our philosophy on advertising and why we do what we do. A lot of companies end up building pureplay ad networks ie- just spaces on the page and we don’t think that’s the solution to making great brand advertising on the tablet. Since we started Onswipe, the goal has been to be a platform to power the entire site from end to end – all the data, all the advertising, and all the content flows through our platform. By doing this, we saw an opportunity to reduce the fragmentation caused over the past couple of decades where ads were served separately from the content. By being the content platform and powering the entire site for tens of millions of readers every month, we are able to deliver native advertising in a repeatable and scalable manner, the same way an individual publisher like Facebook or Twitter can. Tablets allow for brand advertising to be bold, beautiful, and tell stories the way they were meant to be told in a digital world. Not only were tablets an exciting new device 3 years ago, they were also the first truly personal computer. Psychologically, the tablet is a one foot user interface that is personal and intimate in the same way that a magazine is. We saw this as a chance to make advertising something bold and beautiful in a way that has not been possible before in the digital world. The Glossy, is our full page ad and it takes its roots from its namesake, the Glossy magazine ad. It’s an ad made for the tablet world and its made to be bold and beautiful. Tablets are the holy grail for digital brand advertising. A lot of startups have the mentality that advertising is a burden and since they can’t charge for their product, it’s an evil they eventually have to take on. It usually ends up with advertising being relegated to below the fold and off to the side as a second class citizen. We think in the opposite manner. We think advertising should have URLs and be treated as a first class citizen, just like the content it lives beside. That’s why our native advertising products have shareable URLs. This has been a core part of the mission since day 1. We think less is more. Instead of putting a lot of ads on a page, we believe in one and only one ad per page. Consumers are hit with too many messages these days and we’d rather let brands make an impact in a way that doesn’t clutter the page. Whether it’s traditional media or promoted content, it’s one ad per page – that’s it. Our ads are also 100% viewable. It’s literally impossible for Onswipe to serve an ad that is not viewable. We think 100% viewability is the way to deliver great brand advertising in the digital world. We’ve seen great advertising from platform companies like Twitter – they’re a big inspiration here at Onswipe. The problem with most platforms is that they’re confined to one destination and therefore the innovations in advertising don’t leave that destination either. We’re taking a different approach. We’re building a platform for media just like Twitter, except that its spread across the web on many different domains. With that, we think great advertising can be spread across the web as well. Adweek has nice coverage on the launch of our advertising platform that highlights some great stats like 30% engagement rate and 79% brand lift. So that’s it, starting today begins a new phase for us at Onswipe – putting the peanut butter and jelly of media back together. By powering the content platform, we can deliver beautiful native advertising on tablets that delight readers.